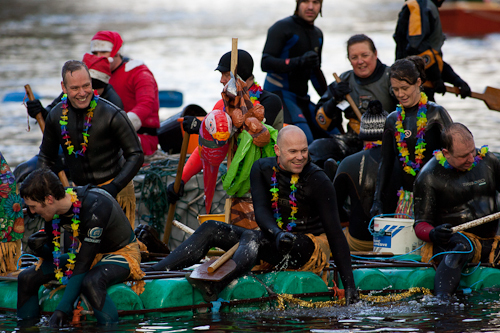 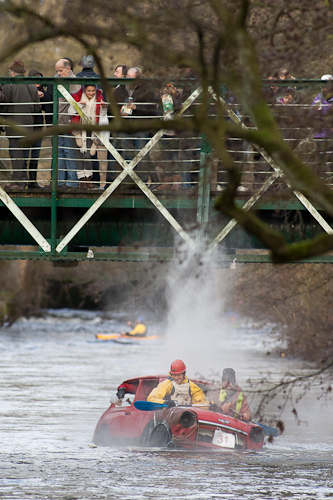 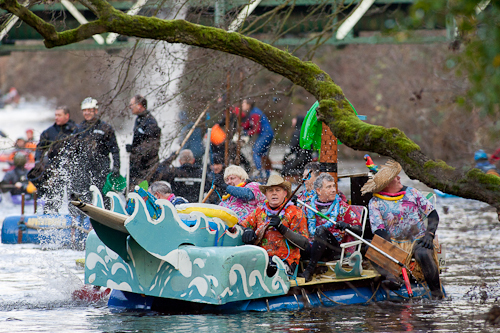 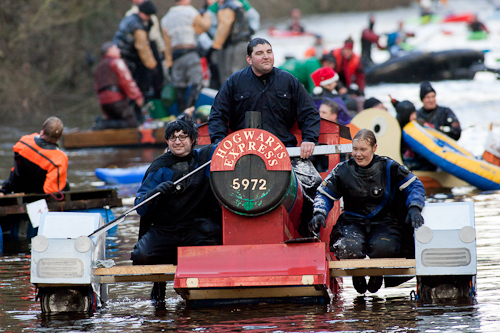 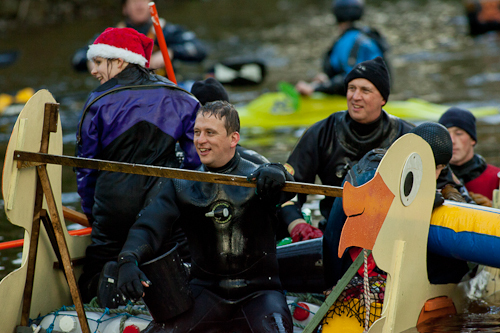 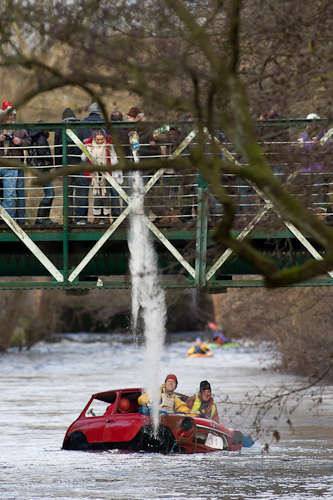 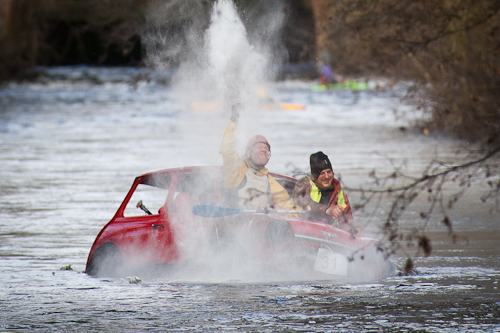 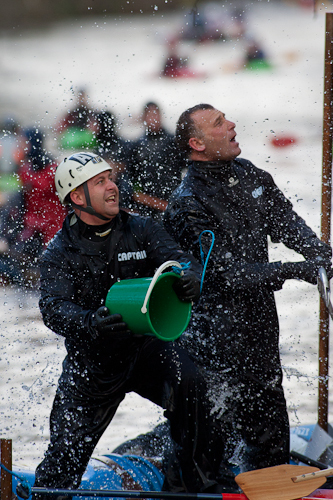 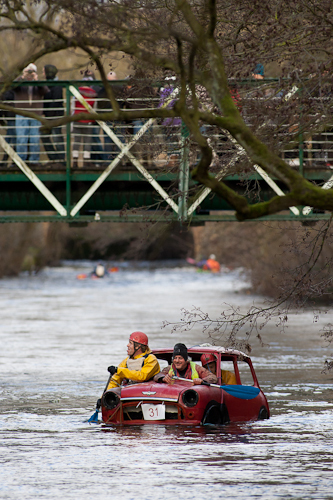 The 49th Raft Race took place on Boxing day bringing in the crowds to this annual event. 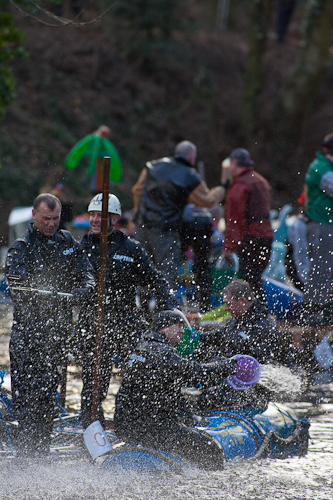 Derbyshire Association of Sub-Aqua Clubs organise the Race that runs down the Derwent River running from Matlock through Matlock Bath to finish in Cromford. 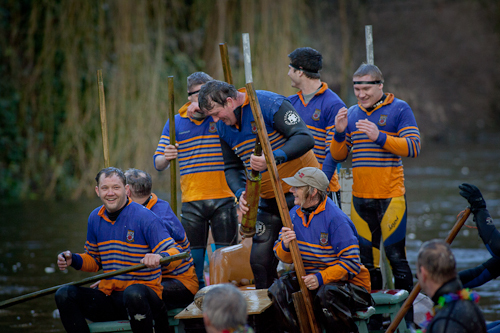 The event raising money for the RNLI. 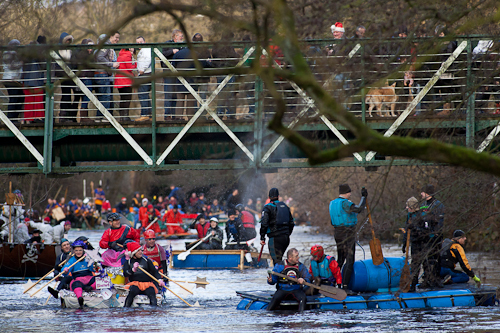 The start had a flotilla of rafts drifting down the Derwent doing battle with not only each other but also allowing the crowds that lined the river banks to take part. 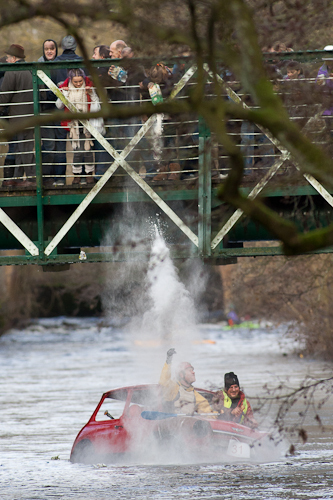 Flour bombs and water canons the weapons of choice on a fast flowing river.The Mayor of Matlock later judges the rafts and presents prizes.